Home » Dedication and hard work rewarded all across the Trust. Dedication and hard work rewarded all across the Trust. John Stephens, CEO of Bright Futures Educational Trust shares his thoughts on this year’s GCSE and equivalent results. 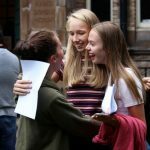 When you witness at first hand the emotion of students collecting their exam results, it’s a powerful reminder of what Bright Futures is all about. At the heart of our mission is doing all that we can to ensure that the children and young people we serve get the very best start in life and are well-equipped to make their way successfully in the world as good, rounded citizens. Pivotal moments like GCSE results day are important markers in the educational journey that begins at home and develops through nursery, primary and secondary schools. This is an unusual year for GCSE results because a number of subjects are now working to very different, more challenging specifications. Once again, however, the students at Altrincham Grammar School for Girls have achieved excellent GCSE results with over 37% of all entries attaining the new ‘exceptional’ Level 9. In some subjects over 50% of the results were Level 9s and in dance 100% of students achieved Level 9. Connell Sixth Form College also achieved very good results with the GCSEs that they offer in English and maths. 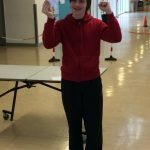 These are particularly challenging when re-taken at post 16 as they are often in addition to students’ main course of study, but Connell achieved above the benchmark for the sector in English and well above in maths. This has been a difficult year for Connell with the additional uncertainties associated with the College’s re-brokerage. It is much to the credit of the Connell team that they have maintained their focus on students. The picture at South Shore Academy is less positive with overall results considerably lower than expected. 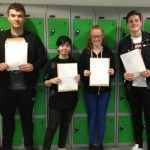 There were were of course some very positive individual successes and good outcomes in a number of subjects such as business, PE, food, child care and information technology. The school and the Trust know what needs to be done and we are really looking forward to getting started in September with over 20 new staff – they will be well supported in their efforts by colleagues across the Trust and our partners. At Cedar Mount Academy the provisional results are indicating an 11 percentage point improvement on last year in the number of students achieving a pass in English and maths, which will be CMA’s best ever performance – with and many exceptional results for students across all subjects. One young person achieved all A*and Level 9/8 outcomes. There were 15 Level 9s in total spread across English, maths, science, religious studies and modern foreign languages and 25 Level 8s. I’m sure you will join me in wishing all our GCSE students the very best for their futures and in thanking our staff, our governors and trustees, parents/carers and all those who have supported our young people in any way on their journeys.